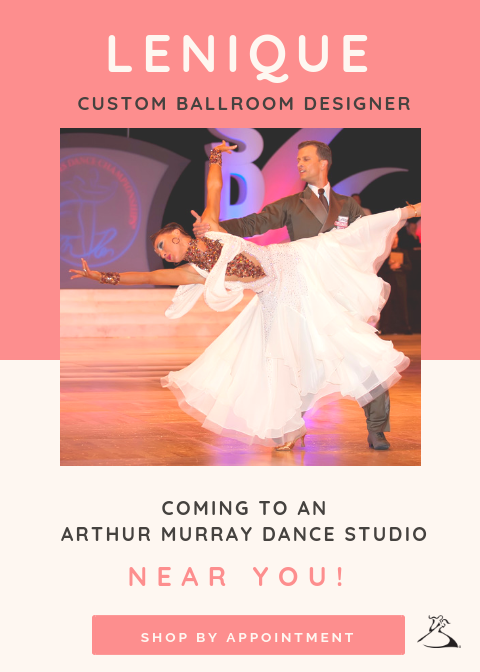 Coming this Week: Lenique, Custom Ballroom Designer! “Where do I buy my competition clothes?”.
. That’s why we have invited one of the best designers in the business, to come to join us to make all of your dance fashion dreams come true! customized ensembles for every kind of dancer. Right now you can book an appointment, and she will design your very own customized outfit. How cool is that? Sign up today at the front desk in both Santa Rosa and Napa! Newer:Troy Baeten & Dani Atkins- Pro Coaches Joining Us Next WeekOlder:Medal Ball in 2 Weeks!